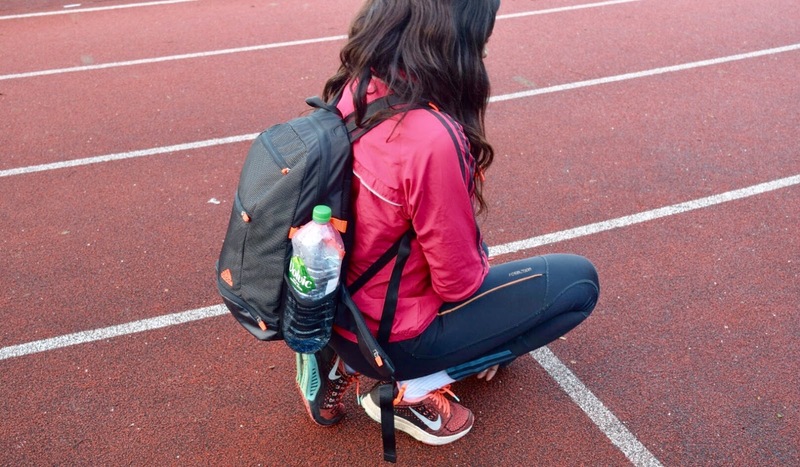 What's in my gym/track bag? This post was inspired by the 400m ‘diva’, Natasha Hastings. 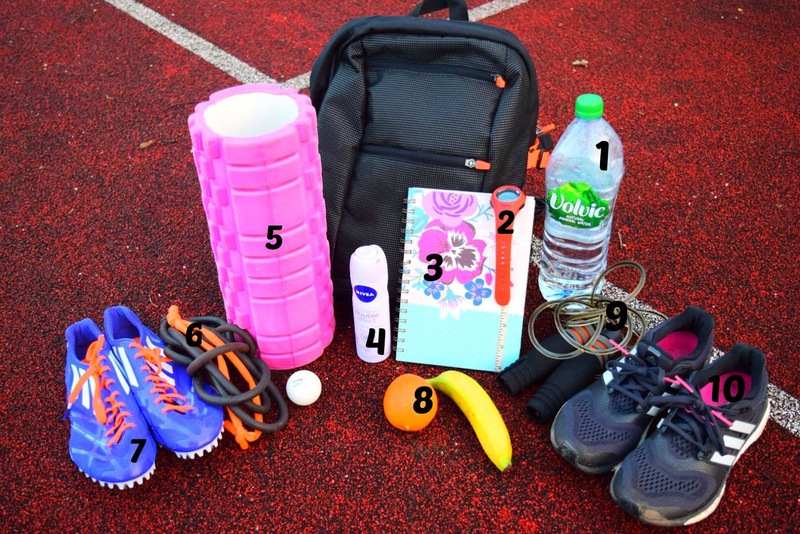 These are just a few things that you'd typically find in my gym/track bag. I'm no expert. An essential. A must. The key. It’s so important to keep yourself hydrated during workouts. I like to take sips in between sets. Obviously not too much though, I hate the feeling of water just sitting in my belly before I'm about to run or do any form of exercise! I feel useless when I leave my house without a stopwatch. Especially when I'm working out on my own, how else would I know what times I'm running or know when my recovery period is up? A stopwatch is vital whether you’re out on a morning run, at the gym or at the track. That way, you can monitor how long you spend completing an exercise, keep track of your resting period and smash your personal bests by achieving an even quicker time than before! A diary is equally as important. I like to use a notebook simply because there’s more space to write. Either way, they both do the job. Diaries are good for noting down the sessions you do and the times you run (if you’re a track athlete like me) and generally to make comments on how you felt during that particular session. So in a year’s time when you look back on it, you can track your progress and see how far you've come. Honestly, it’s the most satisfying feeling. There are also apps which can be used as a substitute but diaries are honestly the way forward. That way, you wouldn't have to delete it later down the line to free up space on your smartphone, due to an excessive amount of photos. *coversface* (It’s mostly quotes, I promise). Before I start any form of exercise. My friends always ask me, “Kelly, how do you get rid of soreness?” and in my head there’s a plethora of options ranging from an ice bath, to stretching to massages but, I simply reply by saying, “use a foam roller”. Although, it doesn't entirely ‘get rid’ of muscle soreness, it can help reduce it. Foam rollers are a way of practically giving yourself a massage as it allows you to loosen the tension of knots that develop in muscles by rolling it out, in the same way that a sports massage would. I have a trigger-point foam roller and I really recommend it. For me, these were definitely important to use when overcoming my injury as it allowed me to improve my flexibility and range of motion. You’ll always find these in my bag, ready for a track session. I’d usually pack the appropriate pair of spikes to match the session for instance, middle distance spikes for the longer endurance sessions and sprint spikes for the short and quick sessions. For me, having fruits in my bag encourages me to snack on it more often, pre or post work-out. A fun way of introducing cardio into your warm up routine (other than running). Also, a basic rope is good for stretching (not in the picture but still worth mentioning). Whether it’s for a change of footwear after running through the muddy fields of Hainault Forest or to accommodate different running activities for instance, lighter trainers for a light session. A spare pair of trainers always comes in handy.